no words in any language can explain what wonders this has done for my skin & its health!!! My wife discovered this skincare product and convinced me to try it. I was skeptical, but figured what can it hurt? Well, it is simply the best treatment I have ever used for my face. I particularly enjoy the sensation after shaving and have found the Bioxidea Hand gloves restore my dried and cracked hands better than any lotion I have tried! This is a great Mask, it makes my skin extra smooth and gorgeous. 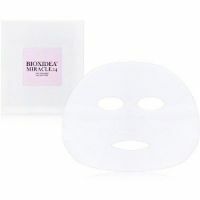 Glad I tried the Miracle 48 mask, I have tried other types of masks, but this one is by far the best!